Not to be outdone by my love of cured meats (bacon, namely) and my love of cheese (any kind) is my love of carbs. Makes for a healthy diet. Typically the carbs come courtesy my Italian heritage and in the pasta variety. So while I enjoy baked goods, I don’t often bake. 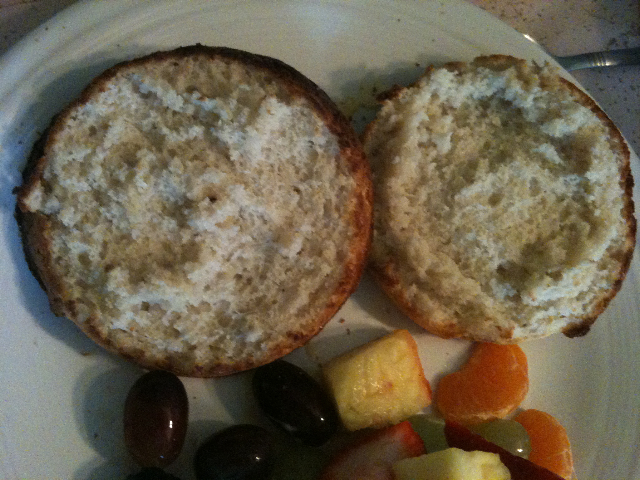 But holy crap - Alton Brown’s delicious homemade English Muffins may make me into a weekend brunch baker. 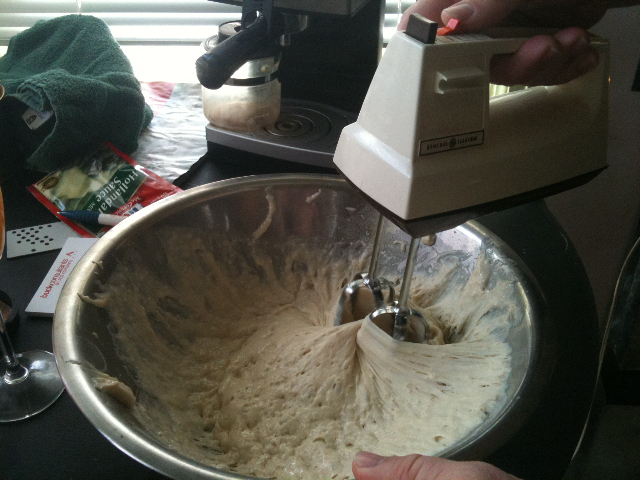 Using our circa 1970-something hand mixer on the dough which set over night…. …made for an interesting mixing experience. 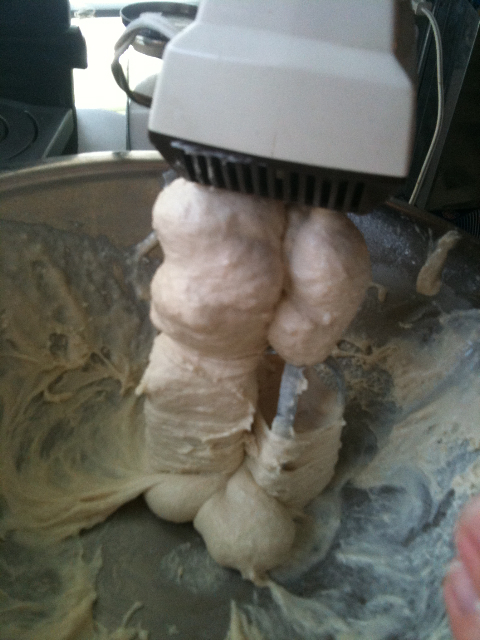 It’s more like a batter than a dough – so don’t be surprised when making it if it sticks to everything. Literally. 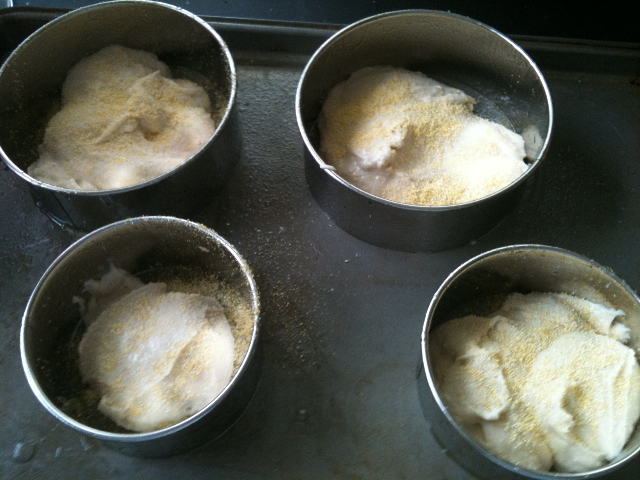 We wanted to McGyver the kitchen gadgets this time around, but our tuna cans didn’t cooperate when trying to make them into pastry molds. So I hit up my favorite kitchen gadget haunt – the Standard Restaurant Supply - to find these pastry rings to give our muffins the right walls. And instead of griddle frying we baked. Check ‘em out! 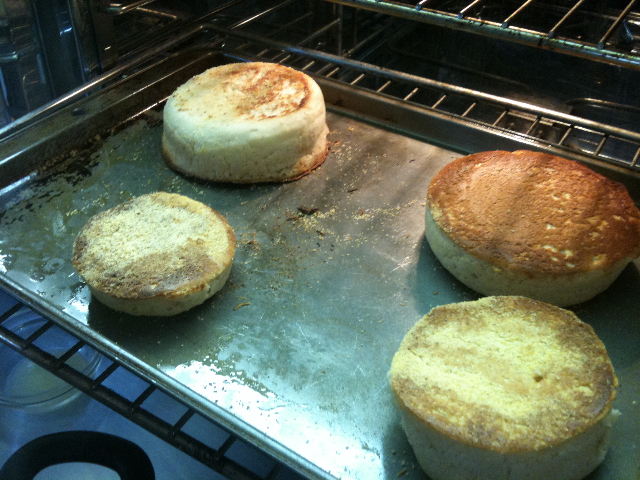 Now Alton had mentioned sprinkling the bottom and tops of the dough with rolled oats. We went with the traditional corn meal. Made for a lovely crunchy texture. The whole ‘fork-splitting’ is key to getting the right texture.